Let our uniquely private and festive lakeside environment be the setting whether you’re gathering family and friends or coworkers and colleagues. Whether you’re planning a family reunion, a getaway, or a birthday celebration, we offer an intimate escape allowing you to focus on what is truly important, each other. The Lake House Guest Cottages of the Berkshires is a perfect destination to create a relaxing getaway or an adventurous escape. For meetings, let the lakeside location of our Berkshire Boardroom ignite your creativity and take your team to the next level with a truly unique retreat or business off-site. Whether you’re here to get things done or reward your team with an innovative and unforgettable experience, we offer a stunning backdrop tailored for your specific needs. 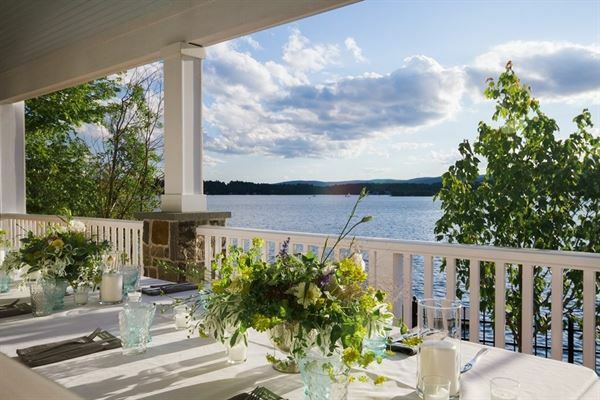 Set against the backdrop of the majestic and natural beauty of the Pontoosuc Lake, our personal planning and design team will create the wedding of your dreams in the heart of the Berkshires. We offer a unique and intimate atmosphere for your special day making your celebration not just a wedding but also an experience. Charming B&B with 12 rooms, a bar, and one-of-a-kind event barn. We welcome events up to 180 people, and have relationships with area caterers and vendors of all kinds. With an in-house event planner, we can do as much or as little of the legwork as you prefer.